The process to impeach Justice Soumitra Sen has begun with the Rajya Sabha passing the motion. The debate was of high standard and showed the in-house legal eagles, including Arun Jaitley and Ram Jethmalani, had done their home work. Justice Sen has been charged with misappropriating money and misrepresenting facts about the misuse of money. There was considerable confusion over the implementation of the Supreme Court’s October 14, 2008, order about cut-off marks for OBC students, which has finally been cleared. Various central educational institutions were applying different yardsticks for admitting OBC candidates. Several central universities had adopted the practice of determining the minimum eligibility/qualifying marks for admission of OBC students with reference to marks secured by the last candidate under the general category. Syrian strongman Bashar Al-Assad is under intense pressure from various quarters to resign and pave the way for a democratic system of government in his country. His blatant use of force to control the rebellion against his dictatorial regime has made the situation worse for him. The killing and torture of a large number of protesting Syrians has led to US President Barack Obama, British Prime Minister David Cameron, French President Nicolas Sarkozy, German Chancellor Angela Merkel and the European Union clearly telling him that he has forfeited his right to rule Syria. Whenever there is a little economic wobble, the RBI informs us that the country’s “fundamentals are good, but…” The same must be said of the current state of governance, a term that is wider than just government per se. The democratic ethos is well rooted despite flaws and distortions; the country is more united and stable than before; poverty and disparities remain but we are a somewhat better off and less inegalitarian society than before. In the natural state, wine has no colour; neither red nor white and certainly not pink. And true wines do not “sparkle”. When allowed to age adequately, they do become faintly golden. The Nirvana Biosys launch of the “Sherose Sparkling Wine” and that too pink in colour for the feminine touch, was a fancy, marketing ploy! Operation Bluestar was over. The detained Akali leaders were released in March and April, 1985, after 14 months of detention. The time was ripe for peace. The state had been under President’s rule for seventeen months since October 6, 1983. 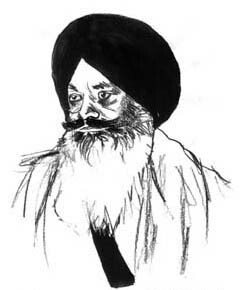 The president of the Shiromani Akali Dal, Sant Harchand Singh Longowal, received a letter from Prime Minister Rajiv Gandhi on the 17th of July inviting him for talks on the 23rd of July in Delhi. The process to impeach Justice Soumitra Sen has begun with the Rajya Sabha passing the motion. The debate was of high standard and showed the in-house legal eagles, including Arun Jaitley and Ram Jethmalani, had done their home work. Justice Sen has been charged with misappropriating money and misrepresenting facts about the misuse of money. He argued that his conduct as a judge was not under examination and the charges pertained to his role as a receiver of the Calcutta High Court. If the Lok Sabha too passes the motion, Justice Sen may well become the first judge to get impeached in India’s legal history. In 1993 a motion to impeach Justice V. Ramaswami, a judge of the Supreme Court, was moved but the Congress under P.V. Narasimha Rao did not issue the whip and Congressmen stayed away, enabling the motion to collapse. In the present charged scenario when everyone is talking of fighting corruption the MPs could not let an apparently guilty judge to get away without punishment. However, given politicians’ indulgence in and tolerance of corruption, Justice Sen is a small fry. But a judge, like Caesar’s wife, has to be above suspicion. Jaitley and Sitaram Yechuri also used the occasion to attack judicial overreach. The frequent executive-judiciary turf war and procedural delays in removing a judge of doubtful integrity raise a question whether the present system needs a change. Judges accused of malpractices no longer resign on their own to maintain the dignity of the office they hold. Having the knowledge of weaknesses and loopholes in the judicial system and encouraged by Justice Ramaswami’s easy escape, they like to put up a fight. Also important is the question: How do such persons get appointed to top posts? The appointment and removal of members of the higher judiciary need to be re-examined to ensure fairness in selections and dismissal without delay. The judiciary must clean up its act on its own to avoid political interference. There was considerable confusion over the implementation of the Supreme Court’s October 14, 2008, order about cut-off marks for OBC students, which has finally been cleared. Various central educational institutions were applying different yardsticks for admitting OBC candidates. Several central universities had adopted the practice of determining the minimum eligibility/qualifying marks for admission of OBC students with reference to marks secured by the last candidate under the general category. Due to this anomaly, many OBC seats remained unfilled and got diverted to the general category. The court has now clarified that a factor (the marks of the last candidate in the general category) which is neither known nor ascertained at the time of declaring the admission programme cannot be used to disentitle a candidate to admission, who is otherwise entitled. At the same time, the apex court has also refused to lower the bar for OBC students further than 10 per cent, considering that they are “far better placed economically and socially than SCs/STs”. Indeed, lowering the qualifying marks further would have led to a large disparity with the general candidates, thus affecting the excellence of higher education. Equally significant is the court’s order that an OBC seat cannot be converted into a general category one when an eligible OBC candidate is available. But to ensure that there is no confusion in admissions for 2011-12, the court has said that this judgement will not disturb central educational institutions which have already decided the minimum eligibility marks for OBCs based on the marks scored by the last candidate in the general category. Nor has it intervened in those cases where any unfilled OBC seats have already been allotted to general category students. That means that the re-defined provisions will be applicable fully only from the next academic session. Syrian strongman Bashar Al-Assad is under intense pressure from various quarters to resign and pave the way for a democratic system of government in his country. His blatant use of force to control the rebellion against his dictatorial regime has made the situation worse for him. The killing and torture of a large number of protesting Syrians has led to US President Barack Obama, British Prime Minister David Cameron, French President Nicolas Sarkozy, German Chancellor Angela Merkel and the European Union clearly telling him that he has forfeited his right to rule Syria. Their strong message came after three Arab rulers — of Saudi Arabia, Bahrain and Kuwait — issued a virtual ultimatum to the Syrian ruler to quit or “face defeat”. Earlier, UN Secretary-General Ban Ki-Moon had asked the Syrian President to end all military operations against the opponents of his regime. Encouraged by the cataclysmic happenings in Egypt and Tunisia, and the threatened survival of Libyan leader Moammar Gaddafi, Syrians in large numbers have been protesting against the rule of President Bashar Al-Assad since March but in vain. Now, it seems, his days are numbered. Washington DC has imposed crippling sanctions, freezing all assets of the Syrian government in the US. The UN has recommended that the Syrian regime must be referred to the International Criminal Court for investigation into the atrocities it has committed against the protesting Syrians. However, the most serious blow to the Syrian President is the stand taken by the rulers of Saudi Arabia, Bahrain and Kuwait. They have recalled their ambassadors from Damascus. The three Arab rulers joining Western leaders in tightening the noose around the neck of President Bashar Al-Assad has exposed the sectarian character of the deepening crisis in Syria. The Syrian leader, who inherited power from his father, Hafez Al-Assad, is a Shia, belonging to an Alawite clan. The Alawite regime has been ruthless in handling any kind of resentment by the majority Sunnis. But today the Sunnis are not prepared to give up their fight because of the prevailing favourable atmosphere in the region. It seems Syria is heading for a regime change as it happened in Egypt and Tunisia. Whenever there is a little economic wobble, the RBI informs us that the country’s “fundamentals are good, but…” The same must be said of the current state of governance, a term that is wider than just government per se. The democratic ethos is well rooted despite flaws and distortions; the country is more united and stable than before; poverty and disparities remain but we are a somewhat better off and less inegalitarian society than before. We are trailing many other nations that took the road to development and modernisation after us. True, but exclude China, and India is at 1220 million and with its myriad diversities, larger than and as or more complex than all of Asia, Africa or Europe or the Americas. However, the “but” remains and, like a virus, must be eliminated from the system before it consumes the body-politic. A random listing of negative reports over the past fortnight illustrates the point. False encounter killings have been declared cold-blooded murder by the courts which would punish these with death as “rarest of rare cases”. Rajiv Gandhi’s killers’ mercy pleas have been rejected by the President, 20 years after his assassination and a decade after death sentences were confirmed by the Supreme Court. The Home Ministry has now advised the President to reject the mercy petition of Afzal Guru, involved in the 2002 attack on Parliament House. Why mercy petitions should take many long years to decide and allowed to become a political football defies understanding. The so-called queueing system for the disposal of mercy petitions seems very bureaucratic and the notion that it is for the government to dispose of petitions and for the President only to announce that verdict appears perverse. The government may advise, but surely the final decision should rest with the President in her discretion. Disposal should not take more than a few months at most. The agitations and appeals to courts to stay the screening of Prakash Jha’s film “Aarakshan” (Reservations), after clearance by the Film Certification Board, is another case of agitators threatening mob violence and muzzling freedom of expression - films, books, art, anything. Protest is one thing, violence quite another. Should the State cow down to thugs and bullies? The film is not anti-reservation, and arguments that there are no Dalit actors and actresses in Bollywood are no defence to extra-constitutional behaviour even by avowedly disadvantaged and oppressed communities. The SC Commission, which raised some objections (that Jha has said he will address), is a pretty supine body that successive governments have been content to keep that way. The Dalits have a strong case and deserve every sympathy and public support, but censoring films does nobody any good. Members of the Sachar panel on the Muslim condition in India are fast losing heart that their salient recommendations — an Equal Opportunity Commission and the compilation of a Diversity Index, to target all backward communities with educational and other official promotional efforts — will be implemented any time soon. It appears to have got lost in crude vote-bank politics. The lingering burden of vicarious “guilt” for the victimhood Hindutva groups still feel as a result of Mohammad Ghouri’s invasion, and Partition continues to weigh heavily on Muslim Indians in many parts of the country. The prime victims of the Gujarat pogrom of 2002 were Muslims who continue to be denied justice. The investigations and prosecution of post-Godhra cases were so biassed that the National Human Rights Commission and the Supreme Court had repeatedly to intervene to secure a semblance of the due process. But now that exposures are cutting too close to the bone, the Gujarat government has begun a blatant administrative vendetta against honest officials who stood their ground, spoke the truth before the Nanavati Commission and SIT’s, and turned whistle-blowers. Sanjay Bhatt, Rahul Sharma and other upright IPS officers are now being hounded on frivolous grounds to shield Narendra Modi, around whom the net appears to be closing. The Home Minister has said that should these officers approach the Centre, the Union has the power to intervene, as it is the cadre-controlling authority of all-India service personnel who are also against any undermining of states’ rights and federalism. This is an unsustainable argument. One only needs to recall Modi’s infamous official broadcast statement over Prasar Bharati days after the holocaust that those who seek peace should not ask for justice. What a Faustian bargain! Meanwhile, the Surat police is reportedly conducting a census of masjids and madarsas in the city, including information on maulvis, students and their denominations, affiliations, visitors and family connections. Hotels, restaurants and cyber cafes are being similarly surveyed. The city’s police commissioner says this data bank will enable the authorities swiftly to contact the appropriate person as and when required. This appears a sinister, community-selective survey. A similar survey of Christians was conducted by the BJP government in parts of Madhya Pradesh some time ago. None of these activities appear entirely innocent to the communities concerned. In Uttar Pradesh, Mayawati’s spending spree on refurbishing her residence matches her scandalous extravagance at state expense on memorials and mausoleums to Dalit heroes. She is now busy registering and withdrawing cases to wound or woe MLAs and others and ensure “loyalty”. The BJP continues to pursue various scams - as it should - but is again back to disrupting Parliament and not allowing the two Houses to proceed with the business before them despite being promised time to air their particular grievances. This is gross abuse of privilege and an assault on parliamentary democracy no less than Afzal Guru’s. Worse, on an appeal by UPA floor leaders for cooperation, the BJP’s lofty response is that they will decide this issue by issue, day by day. Having criticised all and sundry in turn, Congress MPs have joined the rest in demanding the restoration of red beacon lights atop their cars to gain the right of way in Delhi in keeping with their exalted status and the urgency of their errands.The poet’s comment was that “If everybody got their deserts, then who should escape whipping” ! The mollycoddling and ruination of Air India is a sad finale to the story of the once-proud Maharaja. Officials and staff have battened on the airline and brought it to its knees. Air India is best wound up and started afresh under private auspices as a commercial carrier. The tale of bungling, delays and infructuous expenditure on the Katra-Qazigund Rail Project in J&K now coming out appears to be another case of lack of proper surveys and technical studies , coordination and oversight. Lalu Prasad and Mamta Bannerjee were too busy to notice or care. As Anna Hazare readies to tilt with windmills in “India’s second war of independence”, India has got its comeuppance in cricket. Commerce, endorsements, hunts for Bharat Ratnas and individual records and the BCCI’s greed overwhelmed every other consideration. Media hype ensured disaster. This is the time to cure those “buts”. In the natural state, wine has no colour; neither red nor white and certainly not pink. And true wines do not “sparkle”. When allowed to age adequately, they do become faintly golden. The Nirvana Biosys launch of the “Sherose Sparkling Wine” and that too pink in colour for the feminine touch, was a fancy, marketing ploy! Also is not Sherose onomatopoeic with the ages old brand name Shiraz which besides being the town of the Persian Sufi poet and wine aficionado, Saadi, is also the favored variety of grapes, of all wine-makers? To return to the colours of wine, the truth is that when grapes of any variety (Green or Red) are squashed, the resultant liquid is simply “clear” which for convenience is termed white. However, over time the wine-makers learnt that, if the squashed detritus of the red grapes is allowed to mingle with the grape extract during the fermentation process, the emergent produce becomes red. Now, experienced producers can control the colour tint to rose or blush or even purple through varying the period of contact, between the red grape skin-sludge and the juice-extract, during the fermentation period. But the sole exception to all this is the wine made from rose petals which alone turns pink naturally on fermentation but is a rarity because the rose harvest is too meagre for mass production. The sparkle in a wine is yet ingenuity. The vintners merely carbonate the white wine at a predetermined stage of fermentation which triggers the sparkle element and so promotes the white wine to the league of champagne! However, like the genie, the sparkle has to be kept shut inside the bottle which demands the walls of the champagne bottle be of a much thicker glass and have a sturdy cork-plug, almost the length of its neck. To further ensure that the sparkle remains captive, the bottles are stored horizontally always, thus facilitating the cork-stopper to remain moist, expand and remain an air-tight plug. Any wonder that champagne should be so expensive? And that when eased, the plug flies out with a loud bang and if misdirected, could shatter a window-pane or worse blind a fellow bibber! When one is twenty, and ready for love. When one is thirty and full of love. The Red wine, The Red wine, The Red wine! Negotiations had been going on with the detained Akali leaders even while they were under detention. The parameters under which the talks were to be held were announced by the Prime Minister when he visited the Martyrs’ Memorial at Hussainiwala on the 24th of March. They were specific: “We are prepared to do anything within the ambit of the Constitution”. Sant Harchand Singh Longowal, as was his nature, conferred with Parkash Singh Badal and Gurcharan Singh Tohra. Both refused to accompany him for the talks. Surjit Singh Barnala and Balwant Singh were the two senior Akali leaders who agreed. Unsure of whether he should go without the two, the Sant spent an uneasy night. In the morning when he went to his Gurdwara Sahib and took a “waak”, the first lines were “Hoye ikkattar, milo mere bhai/Duvida chhadh, karam liv layee” (Come and gather together, O my brothers/Dispel your dilemma, and give yourself to the task at hand). He immediately wrote back to the Prime Minister accepting his invitation for talks. The meeting took place at 10 in the morning of 23rd July, 1985, and the Rajiv-Longowal accord, covering eleven points, was signed the following day, the 24th. Those who opposed the accord continue to harp on the fact that it has not been implemented in full, thereby justifying their action. That is true as events overtook the accord. However had Badal, Tohra and their factions stood by Longowal, a fully unified Akali Dal backing its president, in all probability the implementation would have been complete. What came instead was terror for ten years and social and economic misery for the state with over 35,000 Punjabis being killed. Sant Harchand Singh was a soft-spoken and peace-loving man. He was shy and spoke very reservedly. He was not known to be decisive and relied on Gurcharan Singh Tohra and Parkash Singh Badal for consensus on an issue. He belonged to Gidariani village in Sangrur district, which at one time belonged to my maternal grandfather. He called my mother “Bhuaji”. As a young man he shifted to Longowal to look after the “Chulas” of Baba Ala Singh, the founder of Patiala state, which is perhaps why he was more free with me. His views about Tohra were that he was sly and mischievous and that Badal was a coward, a trait which made him indecisive. Before Operation Bluestar, while I was in the negotiating loop, many a time issues were on the verge of being resolved till Badal characteristically dithered. On some occasions even Tohra could not make him change his mind. His primary concern was always his life, and secondary, that a solution should emerge which ensured his return as Chief Minister of the state. This had been his modus-operandi throughout his political life. Close to an election, “morchas” were announced, on any pretext. Successive governments then resorted to maintaining peace, and in the ensuing clash Badal would spend a couple of months in detention in some peaceable surroundings, while thousands of simple people from our towns and villages would be subjected to police firing, severe lathi-charge and incarceration in jail for long periods. He would then come out as a hero to take up the post of Chief Minister. “Punjabi Suba”, of which Badal was one of the architects in 1966, destroyed Punjab. It was perhaps the first time in history that a political party would demolish its own state to achieve a communal majority, a Sikh majority, solely with a political objective – to enable the Akalis, on occasions, to form a government. What did people gain from Punjabi suba? This myopic approach reached a crescendo and the Government of India gave the Akalis what they wanted. With the creation of “Punjabi Suba” Punjab lost its mountains to Himachal Pradesh, and with it our forest wealth, hydro-electric and tourist potential. We lost our industrial belt of Faridabad and Gurgaon to the new state called Haryana, which was carved out of Punjab along with 80 lakh acres of prime agricultural land. In 1973 the Anandpur Sahib resolution was drafted and it dictated Akali Dal policy in 1978. The salient demands mentioned in the resolution were a higher allocation of river waters and the transfer of Chandigarh and Punjabi-speaking areas of Haryana to Punjab. The first water agreement, the Indira Gandhi award, came about in 1976 simply because there was nothing to disagree about as everything earlier belonged to Punjab. The Sutlej river enters India form Tibet through the Shipki La gorge, which was in Punjab. The Beas has its origin in Kulu district and the Chenab in the Lahul and Spiti district, both belonged to Punjab. If the Akalis now want more river waters, why were these given away by them in the first place? Chandigarh belonged to Punjab. Why was a situation created which took the city and all the villages of the Union Territory away from us? The Punjabi-speaking areas of the entire Punjab were ours as also the rest of Haryana and Himachal Pradesh. Was it worth giving these all away? The political ambitions of Mr Badal and the SAD prevailed over the interests of the state and the future of our people. Between 2007-8 and 2009-10 Punjab’s economy grew at an average of 6.6 per cent, that of Haryana at 8.03 per cent. In 2010-11 the Haryana growth rate touched 9 per cent. In per capita income the growth rate of Haryana grew at 11 per cent while that of Punjab lagged behind at 5.9 per cent. We have no industry worth the name. There is no future for the 47 lakh unemployed young boys and girls as Punjab’s economy remains stagnant and mired in economic distress. Punjab, once so very carefully planned and developed by the visionary Chief Minister, Partap Singh Kairon, who wanted a “Maha Punjab”, is in ruins today. What did we get in return? The dubious distinction of having Badal four times as Chief Minister? And each time to head a non-performing government! If today Punjab stands on the abyss of economic ruin with non-existent industry, a stagnant agriculture and 47 lakh youth unemployed out of a population of 2.72 crore, and a government and guaranteed debt burden of Rs 1.7 lakh crore, someone has to answer for it. Political instability over these four decades since the Punjabi Suba agitation in 1965 has taken the state, a solvent and growth-oriented Punjab, to the brink of insolvency. This is the result of Mr Badal’s 40-year dominance of the leadership of the SAD, and as a consequence, his contribution to the present state of affairs. A number of books have recorded these events, and when a dispassionate history of that period is finally recorded, it would certainly indict these two, as have contemporary historians done so far, by passing a harsh judgement. Sant Longowal died what he stood for – peace. He was shot dead on the 20th of August at Sherpur village in Sangrur district. A simple man, a good man, who died in an attempt to stop bloodshed in the state! The irony is that those who showed courage are gone, while others who opposed him live to prosper politically and otherwise in the era of peace that finally came to the state to which they contributed nothing. After Sant Harchand Singh, former Finance Minister Balwant Singh, who showed both courage and foresight, succumbed to an assassin’s bullet some years later. Mr Surjit Singh Barnala, deeply involved with the late Sant Longowal, is well aware of the role played by these two small men in high places. The last to die for peace in Punjab was our Chief Minister Beant Singh. Had Badal possessed the quality of leadership required at the critical moment in our history, had he risen above fear and supported Longowal in his attempt to bring about peace in Punjab, perhaps Santji would have been with us today, perhaps peace would have come much earlier and the ten years of terror and bloodshed that brought the state to its knees would have been avoided. The legacy of Sant Longowal will live on in a peaceful Punjab. It is not for the Badals of this world to make an attempt to usurp it.